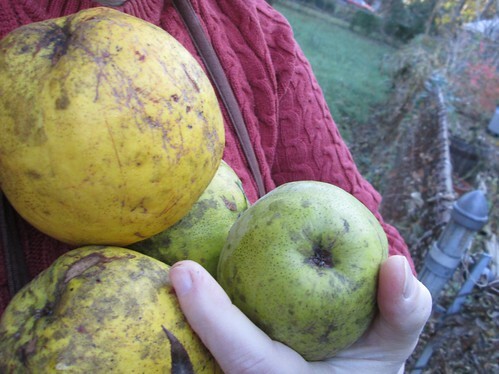 Picked up some quinces from my long absent next-door neighbor’s yard today. 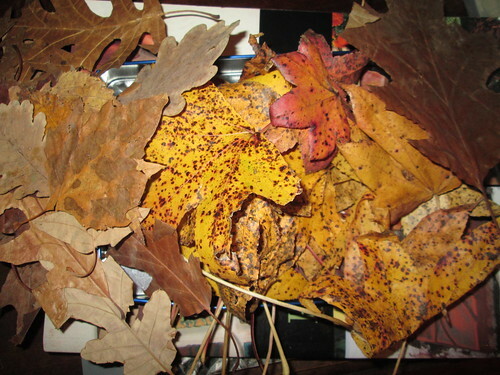 I’ve been collecting leaves just about every day, focusing on different varieties of oak leaves. Today I found some nice speckled sweet gum leaves outside the vet’s office. Leaf printing is on the schedule for the end of the week.